I've just written to Costa saying I would name them as co defendant. I'll keep you updated on this. 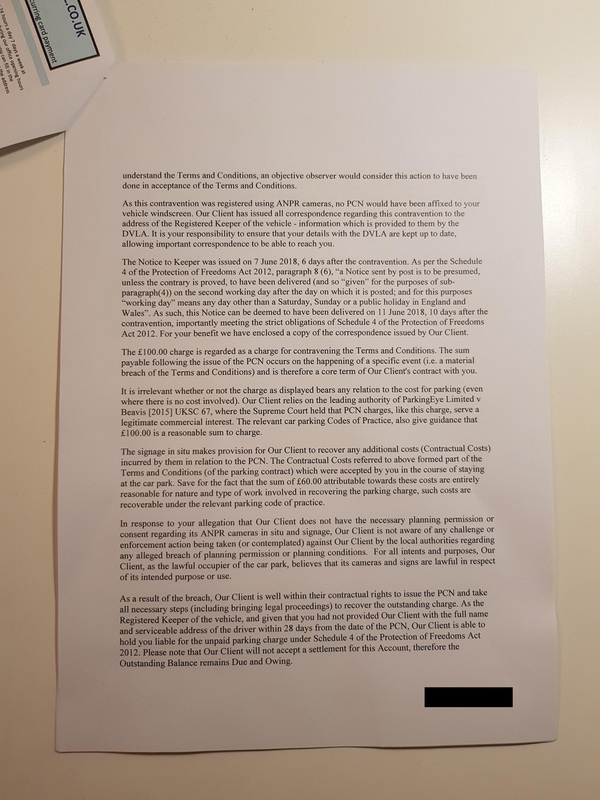 I've also written this and will be sending it to BW LEGAL. Any changes I should consider before sending? It is denied that any monies are due to your client as there is no keeper liability in this matter and no contract was offered at the time. I was not at the location on the day in question and have not received any initial correspondence let alone a notice that could create a keeper liability under the PoFA. Additionally, it appears that no planning permission was issued for any of the aforementioned signage, ANPR systems or even a limited parking duration for the Costa. What's more, the claimed £160 legal fees is considered extravagant considering the alleged duration of the parking was exceeded by only 12 minutes and 37 seconds, according to your own ANPR systems. It is also well known that Brittania and BW Legal are aware of this so this claim is not a genuine attempt at recovering monies allegedly owed to you but merely a poor attempt to coerce me into paying money not owed and that this continues as an abuse of the Civil Procedure system as a method of unregulated debt collection activity. Any such action will be resisted and a counterclaim for breach of the DPA may be issued for failing to adhere to the KADOE contract terms. fees of £160- i would change this as you are misunderstanding where it comes from. Tell them that they are flying a kite by demanding £160 as they well know that the maximum that can be charged is the amount specified on the NTK. This is the law and as lawyers, albeit rubbish ones, they should know this. I got this response back. They haven't actually said they're going to do anything though as I read it, Feanor. it just says minimum of 10mins ..
i'd let this run now. Thanks for the replies. It follow a previous letter where they said they would start a Claim if not paid by 23rd Jan (today!). So I'm guessing this is what they'll do? BW cant start anything, it is down to their clients. 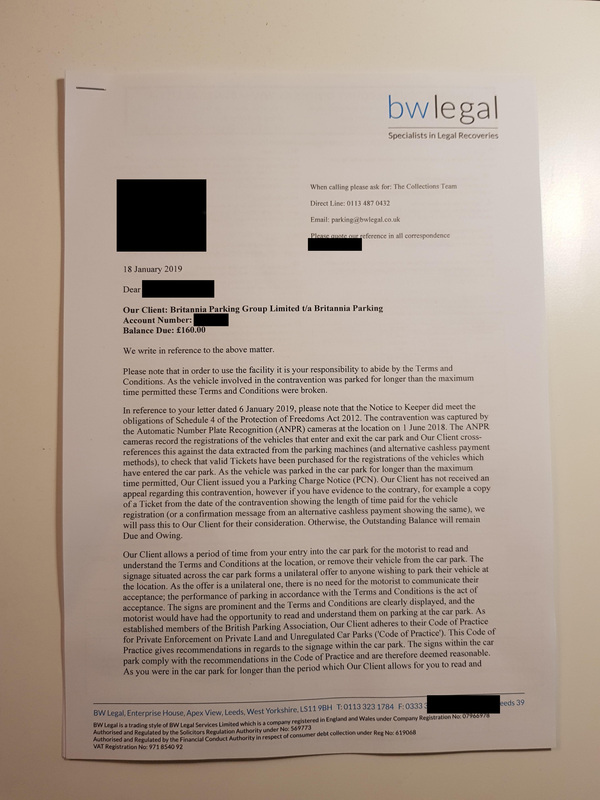 BWL have also told you porkies when they say you are liable for the agreed extra monies for sending you stupid letters. This isnt true as that only applies to the driver and they make it clear they are relying on the POFA to create a keeper liability so that bit doesnt apply. Now as you sent then a polite letter rather then one to tell them to get lost for being dishonest they are more likely to think you are a reasonable person and so will pay up rather than fight them. This makes it more likey they will get the OK to sue you as then you will pay up rather than fight. Now it is up to you but I think any further correspondence is pointless so are you up for the fight?